Please provide any additional information about the intended ADM user that may impact on the spring strength we provide. If this box is completed we will contact you to discuss whether a lighter or stronger spring selection is advised. 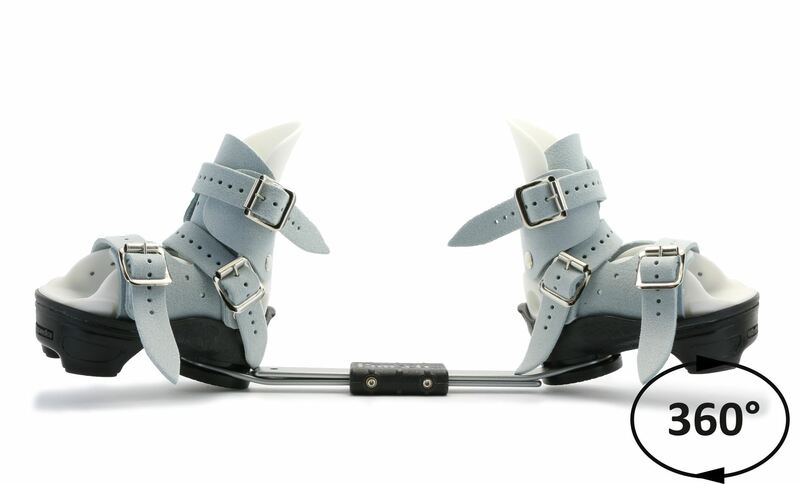 The Ponseti® AFO Toe Stilt is a dual purpose AFO designed to support the Ponseti method of treating clubfoot. 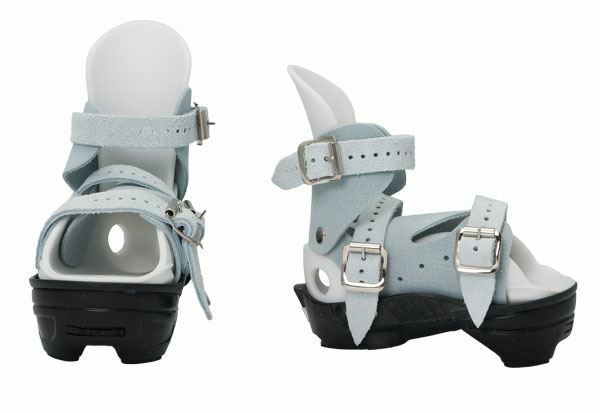 The Toe Stilt Sandals can be worn attached to the Ponseti® Bar in accordance with the standard Ponseti bracing protocol. They can also be worn for short periods outside of regular bracing times in order to help the patient maintain good dorsiflexion by stretching the Achilles tendon and helping to keep the foot flexible. This is achieved by the placement of a wedge underneath the toe section of the sandal. This has the effect of the feet always being in a dorsiflexed position of 10 degrees when standing. 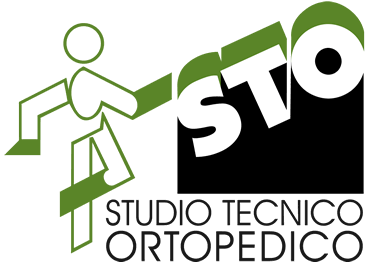 The patient must be able to stand and walk in order for the Toe Stilt AFO to be beneficial. Available in size 2 - size 11 sandals. The sandals are available in a range of sizes – see Specifications and Measurements. They can be ordered in split sizes where necessary. The sandals must be worn with good fitting socks to prevent any sores or blisters. 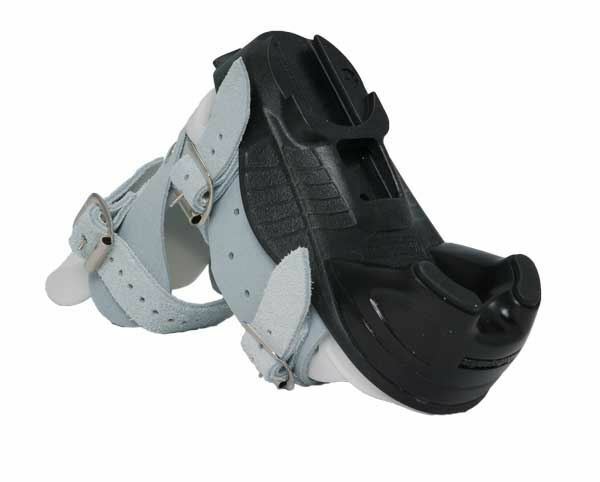 For ease of use the sandals are supplied with the buckles on the inside. We have been using and working with the Ponseti AFO Abduction Brace for over eight years. Whilst not part of our formal Instructions for Use the following advice stems from practical experience, we hope you find it useful. Consistently follow the bracing protocol prescribed by your clinician. The Ponseti AFO Abduction Brace will not inhibit your child’s development. Providing the instructions are followed the brace will not cause discomfort to you child. 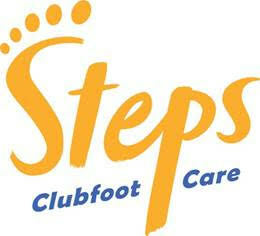 Even well corrected clubfeet have a tendency to relapse. Without a diligent follow-up bracing program, relapse occurs in more than 80% of cases. This is in contrast to a relapse rate of only 6% when there is compliance. 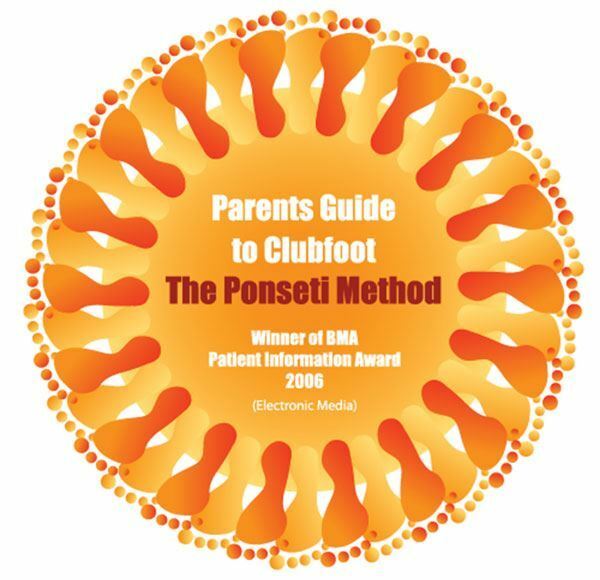 To learn more about the Ponseti Method consult the Global-HELP publication, Clubfoot: Ponseti Management: various authors, Editor: Lynn Staheli MD. This is available on the internet free of charge and has been translated into many languages. Click here to obtain the Global Help publication. Try to fit the AFOs with the baby or young child in a calm and relaxed state. Sometimes initial fitting is best achieved while the baby or young child is asleep. Try to make fitting the brace be part of a regular sleeptime ritual. Most babies will readily accept the brace and associate it with sleeptime. If your baby or child is experiencing discomfort or sores when using the brace then remove it and consult your clinician as soon as possible. Try to avoid removing the brace just because your baby is fussing or disturbed for normal reasons. 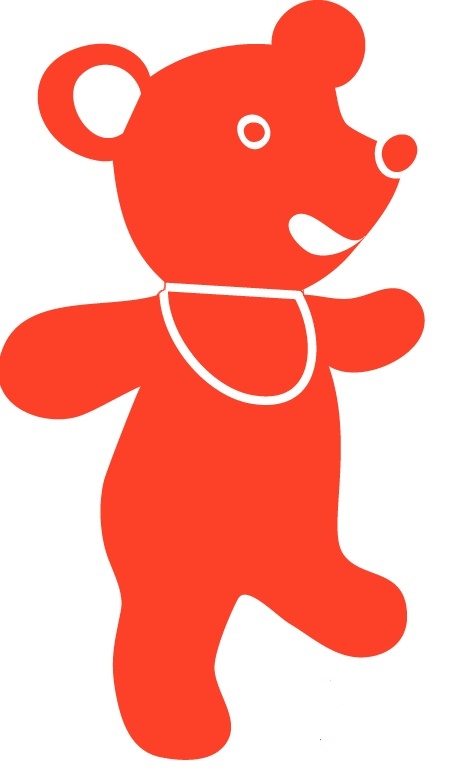 Babies and young children may soon learn that fussing will lead to the brace will be removed. The Ponseti AFOs should be worn with close fitting, smooth, cotton rich socks that extend beyond the top of the AFO. Purposely designed double-layered socks are available for use with the Ponseti AFO abduction brace. These socks minimise the risk of blisters and sores and are available from C-Pro Direct. Babies who have just completed plaster casting have particularly soft and sensitive skin. Blankets and sheets may become entangled in the Ponseti AFO and bar or they may kick off their bedding during sleep. Be vigilant and ensure your baby is both safe and comfortable. Baby sleeping bags (Sleep Sacks) may be used providing they fit correctly. Try daily stretching of the Achilles tendon and calf muscles to maintain and improve dorsiflexion. This is particularly important between the ages of 2 to 7 years when there is rapid growth. The best type of stretch is achieved by standing your child on a sloping surface. You can make a slant board at home or you might like to try Dorsiflexion Ramp, which is available at C-Pro Direct. Try to incorporate use of the ramp with a daily routine, such as teeth cleaning or playing on a computer. To maintain good dorsiflexion incorporate stretching into your child’s daily routine. The Dorsi Ramp can help. The size shown is for the length of the foot. The length of the foot is measured from the sole of the heel to the tip of the big toe. If you are unsure of your child’s measurement, please download this free sizing guide. When printing, please make sure you select the option ‘Actual size’ in the printing screen. PFS sandals are available from size 00 up to and including size 12. 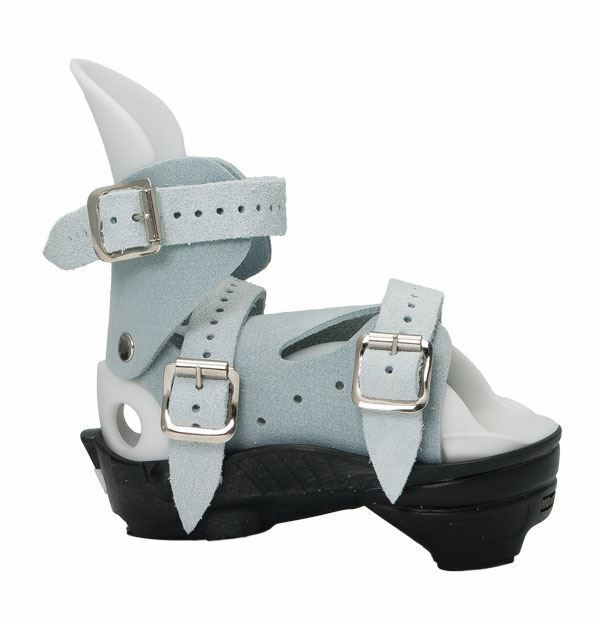 Toe Stilt sandals are available from size 2 up to and including size 8. Our products are class 1 medical devices and carry the CE mark. High quality baby friendly materials are used that have been tested for toxicity and comply with US and European regulations. Our products do not contain latex rubber. During 2013 the bars will change from Aluminium to anodised steel. Further materials data is available from C-Pro Direct. Please contact us if you require more details. The Ponseti AFO Abduction Brace should be used in accordance with the Ponseti method as directed by your clinician. Before fitting ensure the feet are clean and very dry. Sandals should be worn with close fitting, smooth, cotton rich socks that extend above the top of the AFO. When fitting sandals, try to make sure your baby or young child is in a calm or relaxed state, or even asleep. Fitting the AFO can easily be part of a regular sleeptime ritual. 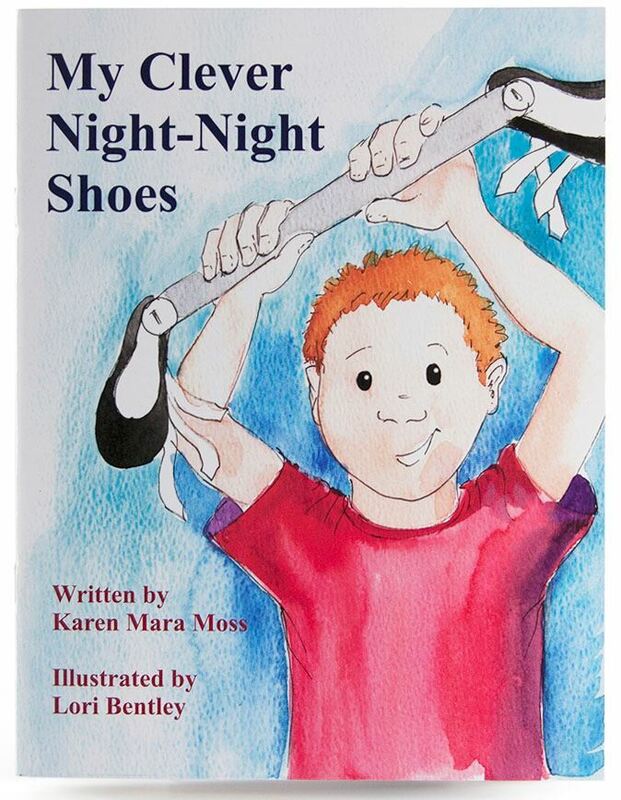 Insert the child’s foot into the open sandal with the buckles on the inside of the foot. Check the heel through the hole at the back of the sandal. The heel should be placed as far back as possible. Without allowing the foot to move forward, place the tongue across the front of the leg and top of the foot as shown. Secure the middle strap over the tongue firmly buckled to keep the foot in place. The hole in the tongue should be visible just above the strap. Optional use of a pressure saddle if required. Fasten the toe strap(s). 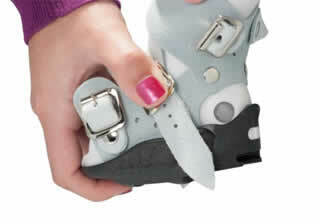 The strap(s) do not need to be very tight, but care must be taken to ensure the foot is flat and the toes are straight. 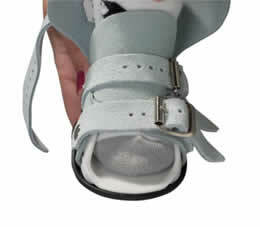 Fasten the top strap taking care not to over tighten and risk constraining blood flow to the foot. Check the width of the bar is shoulder width. If needed, adjust the bar by loosening the two screws in the connector using the allen wrench. 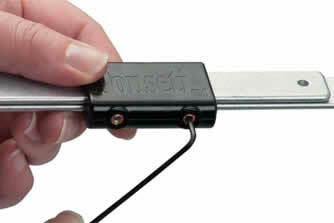 Ensure the connector is positioned centrally, adjust and tighten just enough to stop the bar length from changing. Check the abduction angle of the bar. This is usually 30 degrees for a non-clubfoot and 60 degrees for the clubfoot. However, this must be agreed and directed by your clinician. To change the angle, you need to take out the outer screw on the dial completely and loosen the middle screw so that the dial is movable. 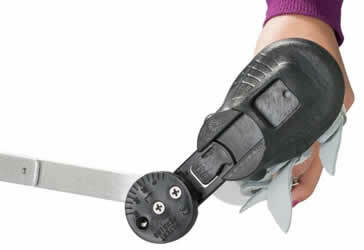 Turn the dial to the desired angle, tighten the middle screw and put the outer screw back in. Attach the bar to the AFOs using the Quick Clips. Slide the Quick Clip into the slot on the sandal until it snaps into place. In unilateral cases attach the bar to the unaffected foot first. To remove, push the button on the quick clip mechanism to release each sandal. Please then reverse the steps. Use only in accordance with these instructions and as directed by your clinician. Consult your clinician immediately if the patient is experiencing any pain, blisters or sores or if the AFO is slipping on the patient’s foot. Do not bend the bar or allow children to walk with the bar attached. Bending of the bar may compromise therapeutic value and lead to breakage in use, which may cause harm to the patient. Do not over tighten adjusting screws. Do not use brace if any part of the Ponseti AFO is not in good condition or does not correctly fit the patient. Clean AFOs and Bars using warm water only, avoid wetting the suede like gauntlet and straps. Consult C-Pro Direct for further details. We aim to provide the highest service levels for all of our customers. If the merchandise you received is defective or not as you ordered, please contact us for a quick resolution. Broken Sandal (within 6 months of wear): Free of charge replacement sandals will be provided if there is a manufacturing defect, or if any part of the sandal becomes damaged through normal use. 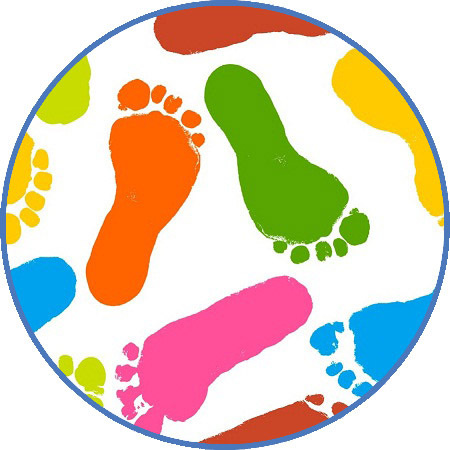 Broken Sandal (after 6 months of wear): If a sandal breaks or becomes damaged through normal use and has been in use for more than 6 months then we require a new foot measurement to be taken to ensure that the current size is still appropriate for the child. If the current size is still appropriate a free of charge replacement will be provided. Broken Bar, Quick Clip, Heel Cap or Collar: A free of charge replacement will be provided if the bar or any part of the bar is broken or damaged through normal use in accordance with these instructions. Note: The product is for naptime and nightime use only. Walking in the Ponseti AFO can damage the bar and wear the heel caps. Replacement heel caps are available on request. Incorrect Size: Please notify us within 7 days of receipt. Provided the product is returned in a re-saleable condition then a replacement of the correct size will be provided free of charge. Unwanted Product: If you are dissatisfied and request a refund these guidelines must be followed in order to receive a full credit: Products must be in new, re-saleable, unmarked condition and in original packaging.The products must be returned within 30 days of invoice date. This policy and warranty is non transferable. The warranty is voided if the products are amended or altered in anyway, misused, or if they are not used in accordance with these instructions. Ponseti AFOs are for use only with Ponseti abduction bars and Ponseti abduction bars are for use only with Ponseti AFOs. Please contact us if you experience problems not outlined in this policy. Atypical matters will be handled on a case by case basis.